My friends! 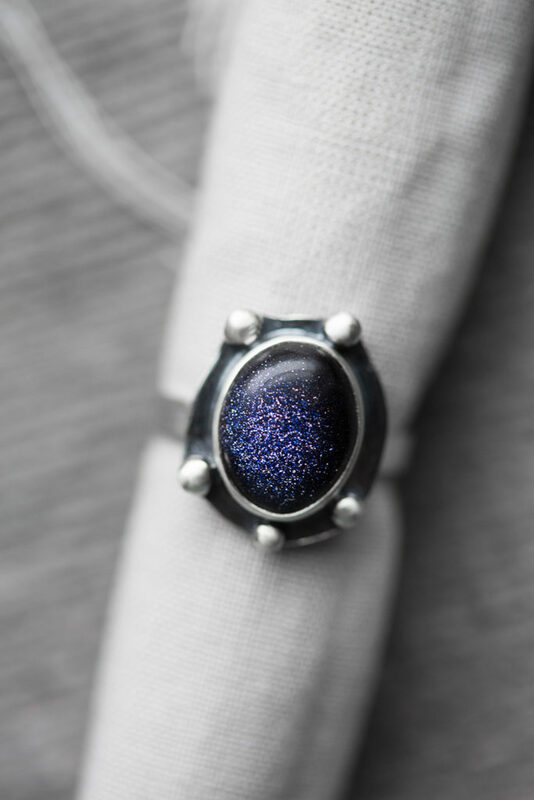 I have captured a few dozen tiny galaxies and have encased them in silver for you. 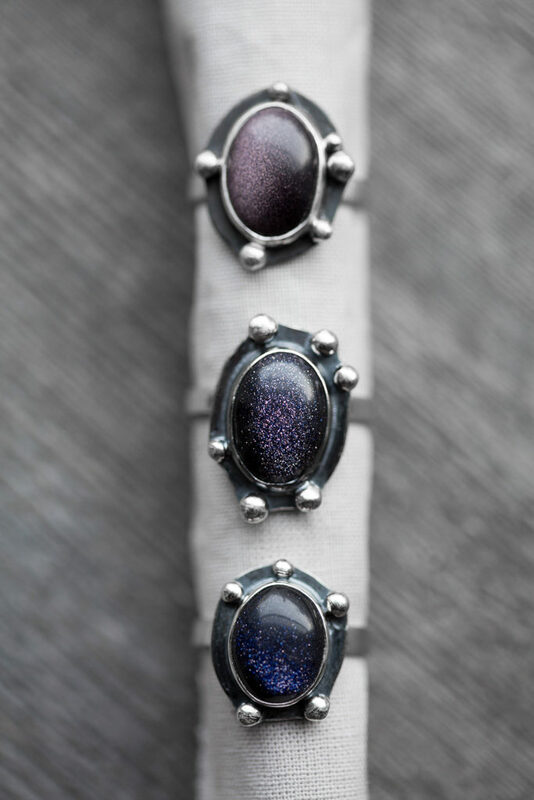 Interstellar dust to sit upon the finger, and billions of stars to rest upon the wrist. 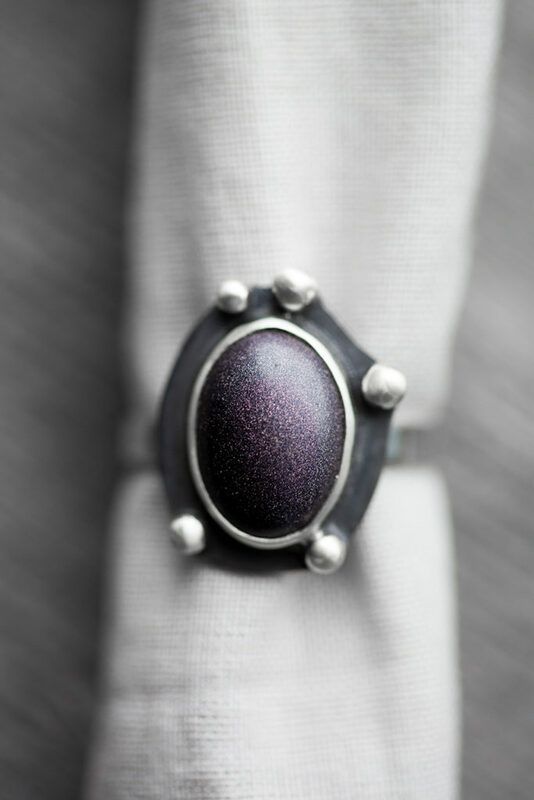 These pieces are made from a manmade stone called blue goldstone developed in the 1600’s. 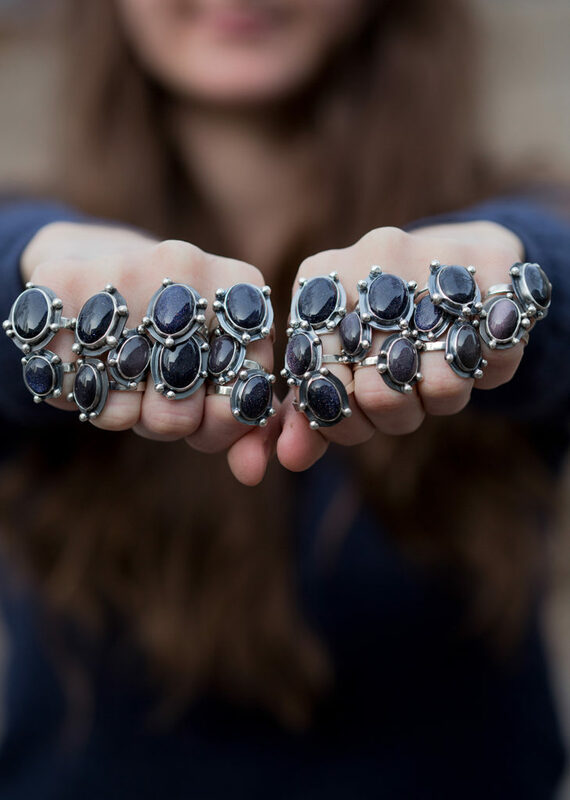 It was also referred to as “sang-e setareh,” which is Persian for “star stone.” There is a legend that it was accidentally invented by Italian monks who were practicing alchemy in secret. This will likely be the last of this design, so I made it a rather large collection. 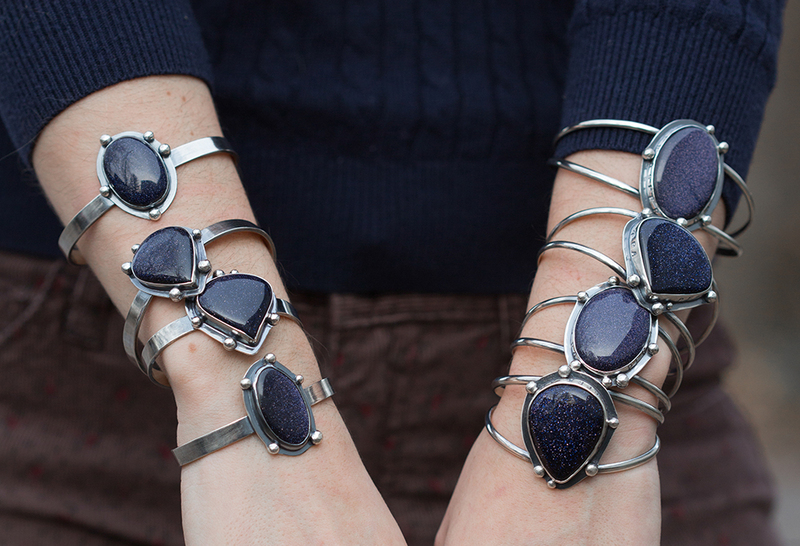 There are eight cuff bracelets and twenty one rings. 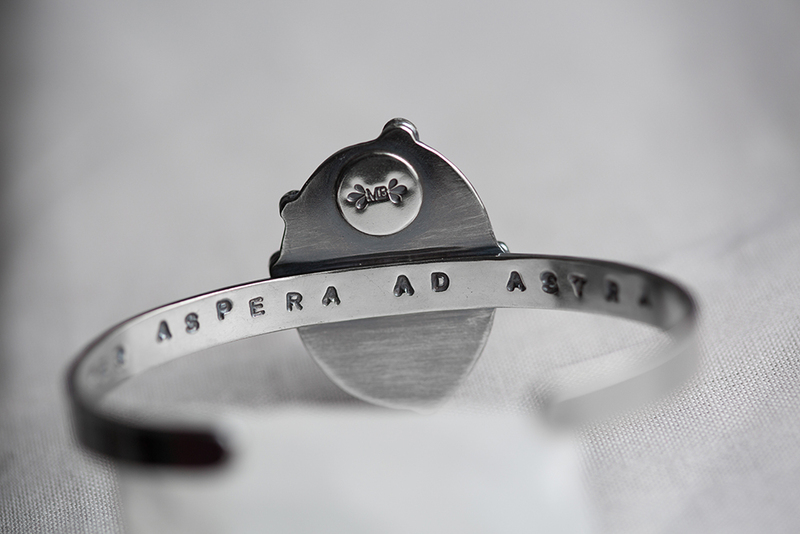 For the bracelets, four will feature a double half-round band and a straight bezel wall with the message “per aspera ad astra,” which is Latin and translates to “through hardships to the stars,” floating around the stone. 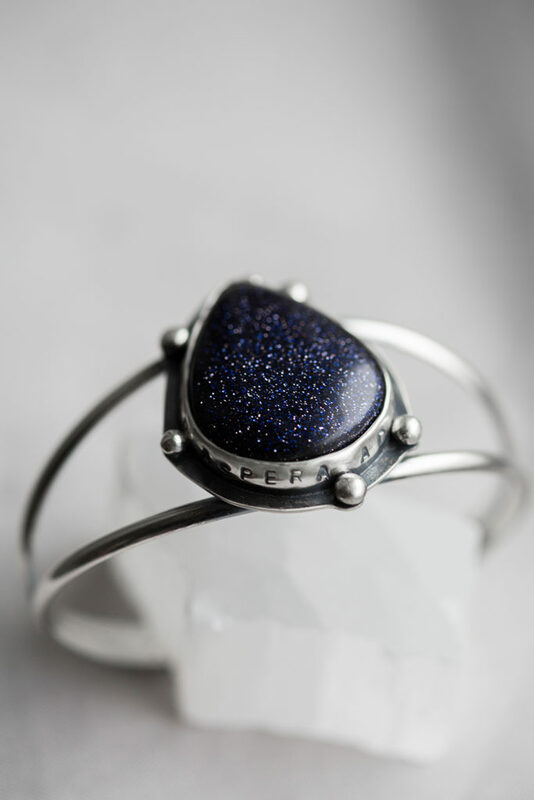 The other four are set upon a thick rectangle band with the same secret message inscribed on the inside of the bangle. 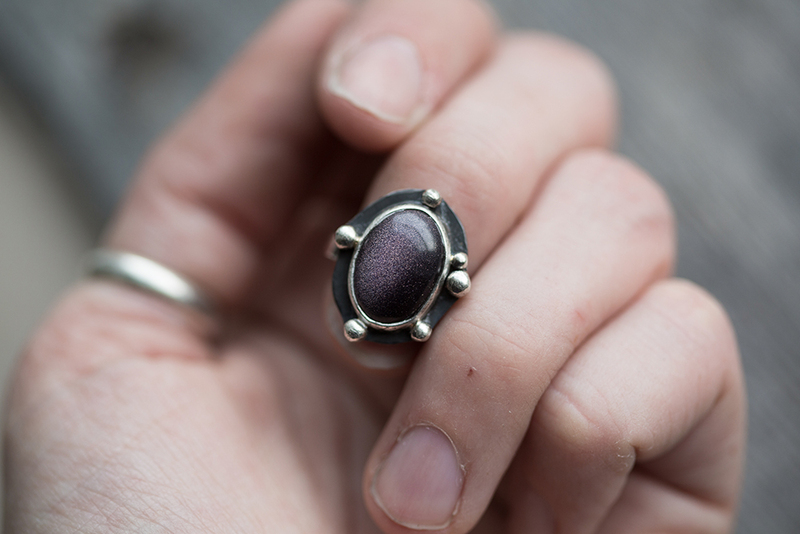 As ever, there are also tiny sterling silver pebble planets oriented at random places around the stones. 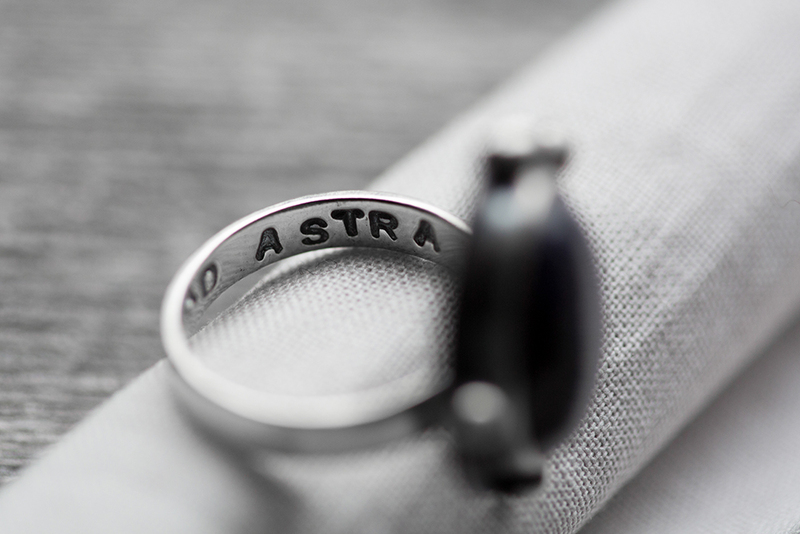 For the rings, there will be twelve smaller rings and nine larger ones, all in various sizes between US sizes 5.5 – 10. 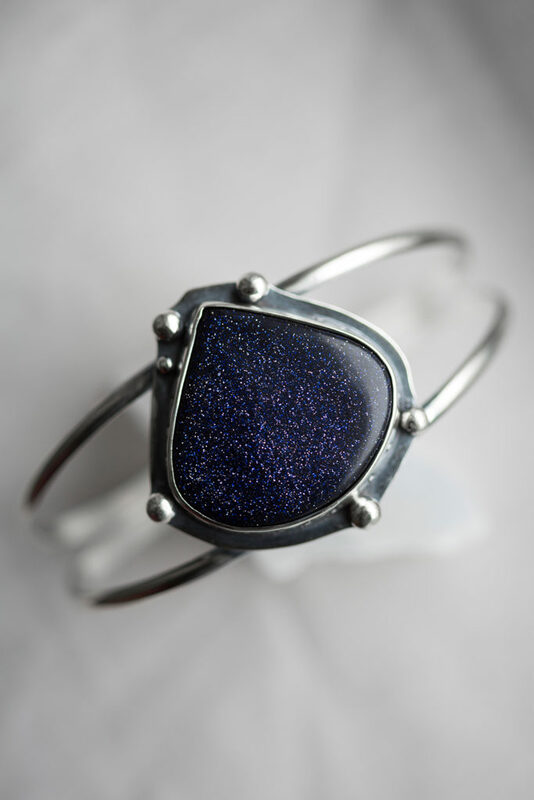 Some of the blue goldstones in this collection have a slight lavender hue and a very fine sparkle, like cosmic dust. And others are a very deep, dark blue with tiny stars winking in the depths. 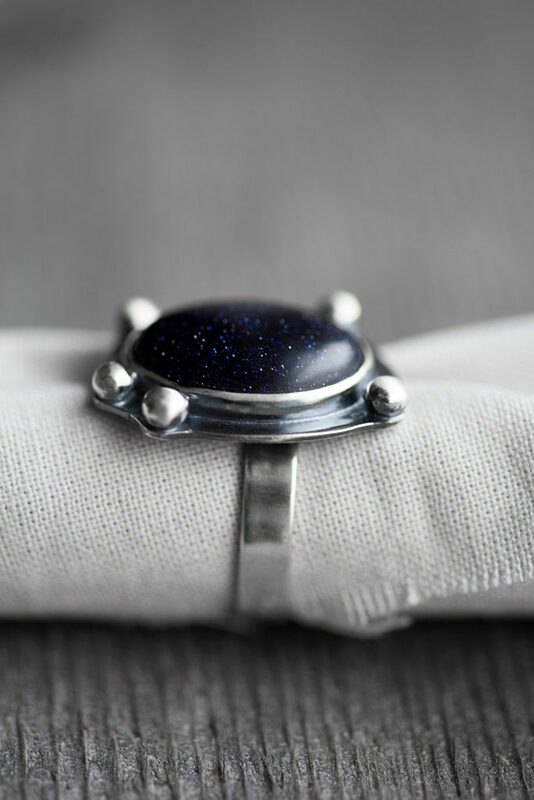 Galaxies to wear about your wrists and hands, for star-gazing even when the true night sky is hidden from you. They will be floating into the shop on Wednesday, April 4th at 7pm EST.